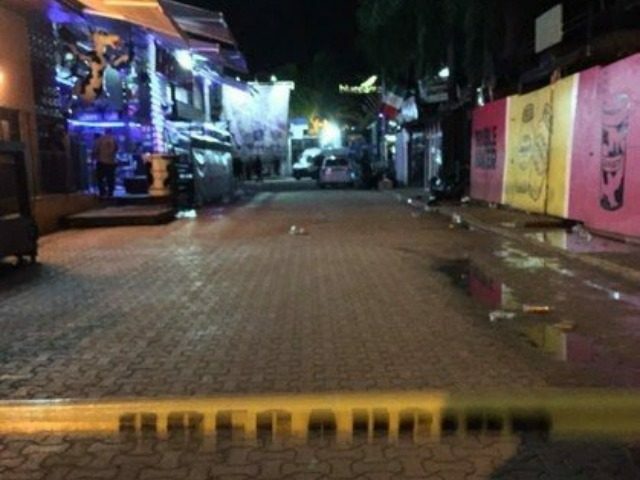 Cancun continues to be a hotbed for violence after cartel gunmen attacked local ministerial police investigators at a gas station. Local reports note the attack left two investigators wounded and one cartel gunman dead after the confrontation at a gas station near the busy Plaza Outlets. According to the Quintana Roo Attorney General’s office, it is believed the cartel gunmen followed the investigator’s car to a gas station in a black truck. One officer entered the store while the other refueled. The cartel gunmen made a U-turn, pulled into the gas station, and opened fire. The investigator in the store stepped out and immediately returned fire, killing one of two gunmen. The second shooter returned to his vehicle and fled, believed wounded. The officer at the gas pumps was struck at least seven times but is expected to survive. The attorney general also suggested that the gunmen could have mistaken the armed, plainclothes officers in an unmarked vehicle as members of a rival cartel. The violence in Quintana Roo, centered in or near Cancun and Playa del Carmen, is attributed to a turf war between the Sinaloa and Juarez Cartels. The state attorney general’s office announced the murder count at 326 for 2017, smashing the previous record set in 2016 for 137 cartel-related executions, according to Noticaribe. The municipality of Benito Juarez, where Cancun is located, registered 326 organized crime executions. Solidaridad, where Playa del Carmen is located, marked 58. Nearby Puerto Morelos recorded 31.